The annual Personal Excellence Partnerships (PEP) program officially kicked off October 4, 2018 with a ceremony attended by school and naval air station leadership and volunteers at the Frank Knox Building. 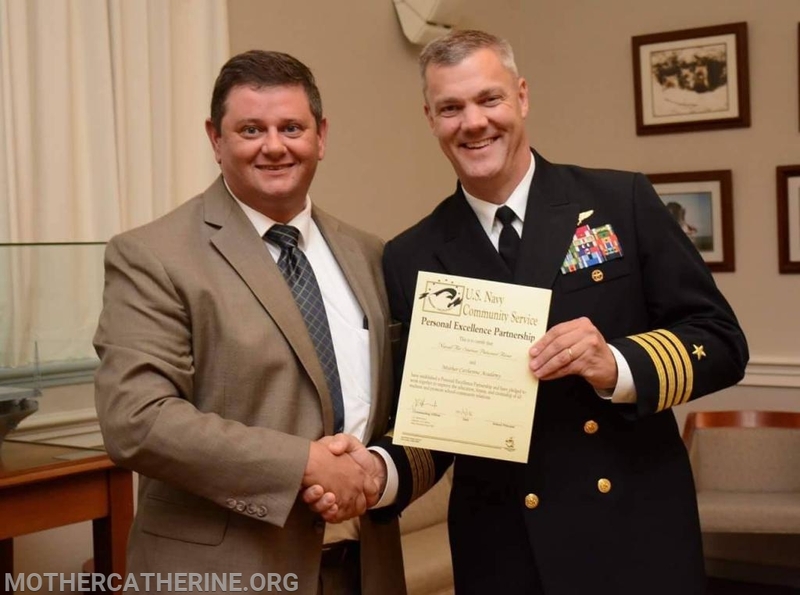 The ceremony reaffirms the partnership between the naval air station and the public, private and Parochial schools in St. Mary’s and Calvert counties. PEP assists in developing the youth of Southern Maryland to their fullest potential in the areas of academic achievement, healthy lifestyles and civic responsibility. Through the partnership, every effort is made to enhance the quality of education. Each school representative received a certificate signed by the naval air station commanding officer. MCA is honored to be a part of this amazing program.